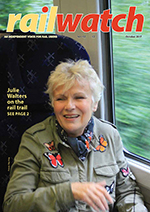 Click HERE to show a catalogue of all items without descriptions and images. 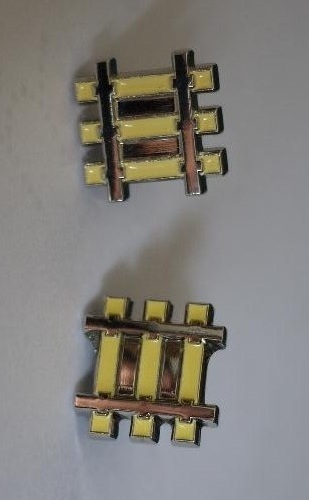 These rail themed cufflinks are designed to appeal to rail industry and heritage railway professionals, workers and enthusiasts alike. 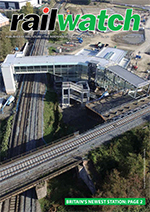 Fashioned in nickel-plated alloy, they feature a section of track with bright silver colour rails and enamelled sleepers. Supplied in a black presentation case with velvet lining. 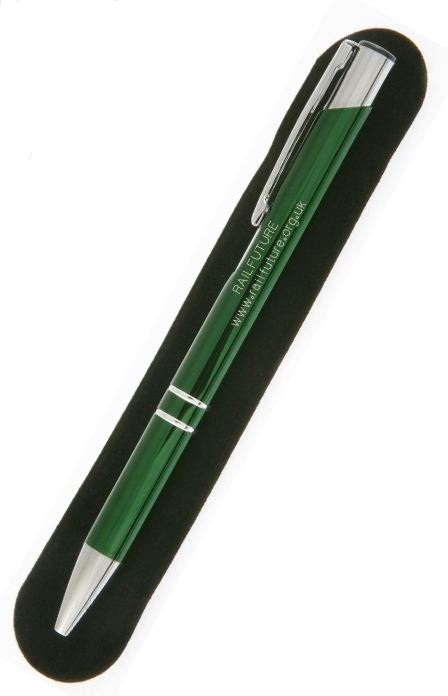 This is a quality retractable ballpoint pen which will write smoothly in black ink. 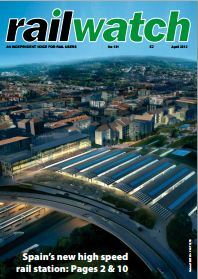 The styling is bold and contemporary: the metal barrel has a gleaming green lacquer finish, laser engraved with the Railfuture name and website address, and trimmed in polished chrome. 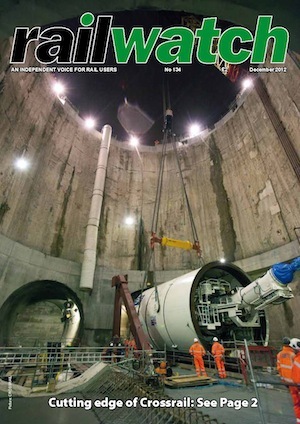 Supplied in a free velveteen pouch. 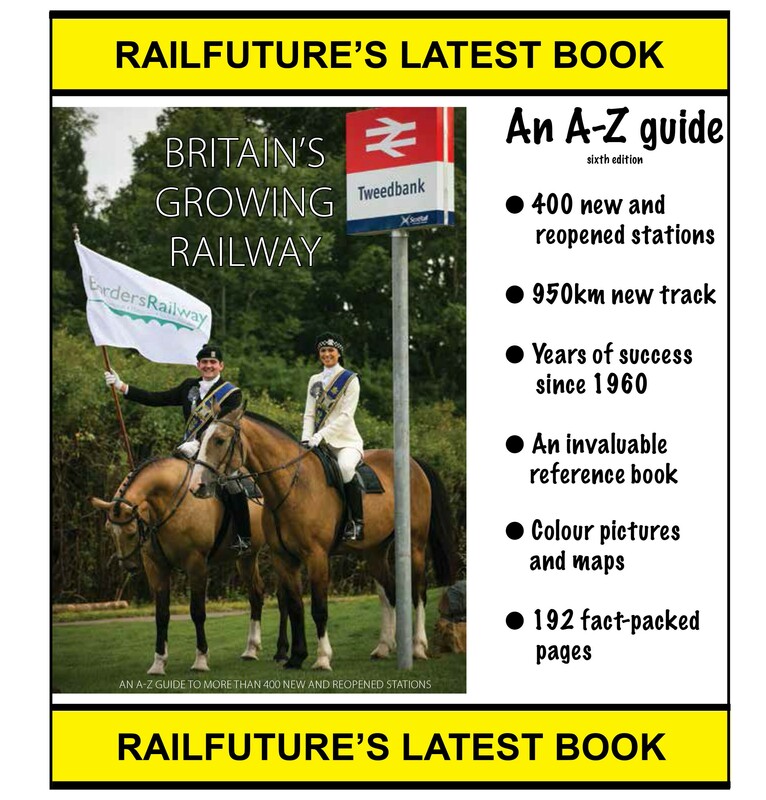 This Railfuture lapel pin is intended to be worn on a shirt or jumper. 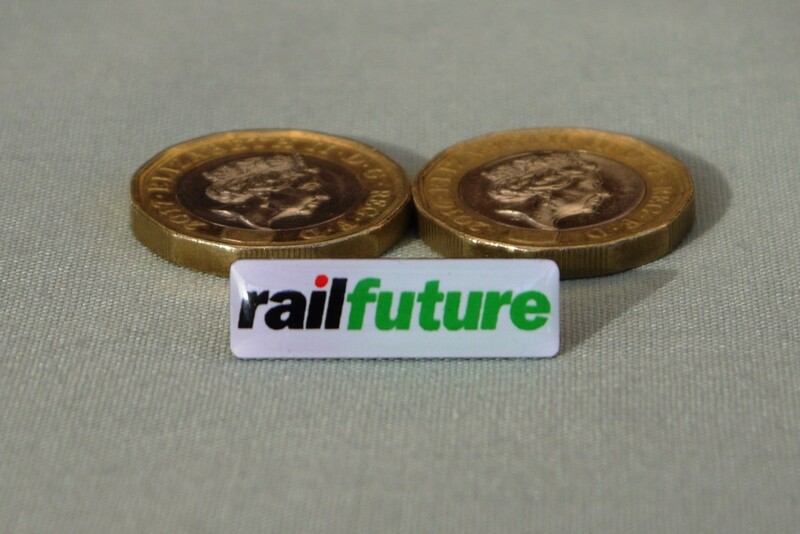 The image of the Railfuture lapel pin in front of two £1 coins shows its size - and appropriately matches the price! 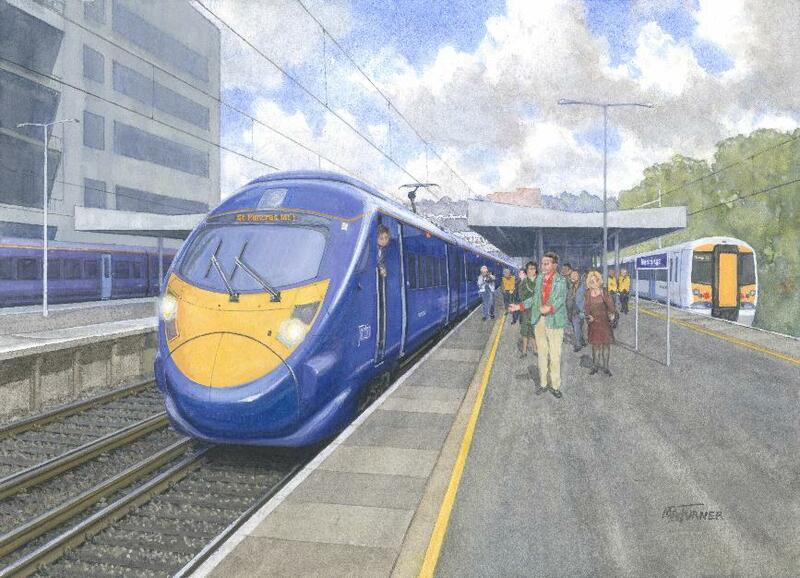 Printed on fine art paper, this is a print of the picture presented by Railfuture to Secretary of State for Transport Patrick McLoughlin to celebrate his announcement of high-speed Javelin train services to Hastings and Bexhill. 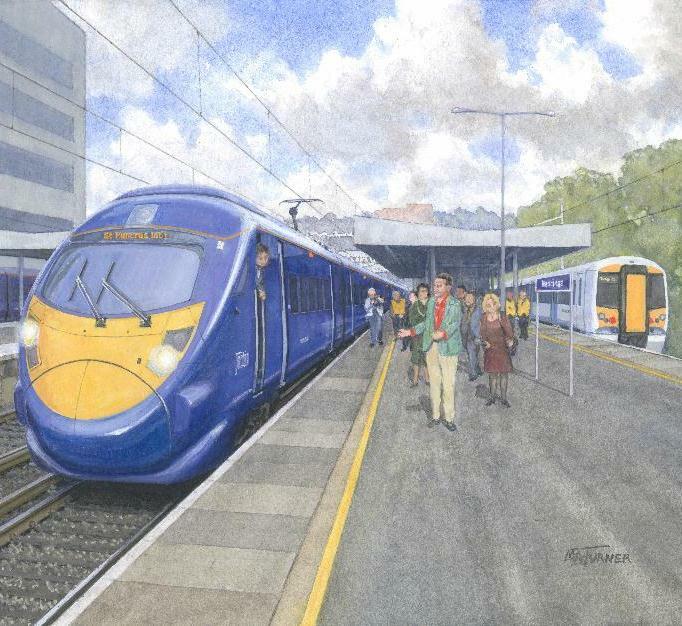 Depicting a Javelin in the platform at Hastings, the print from a painting commissioned by Railfuture is 367mm wide and 265mm high, plus a 25mm white border, and is supplied unmounted/unframed. 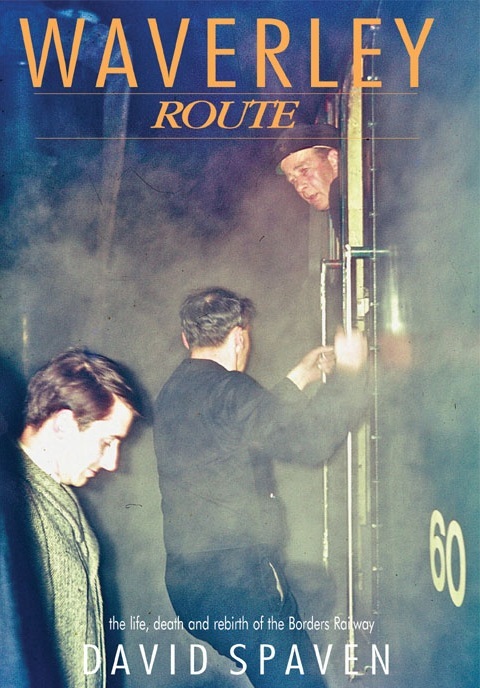 Lavishly illustrated with numerous period and current photos never before published. 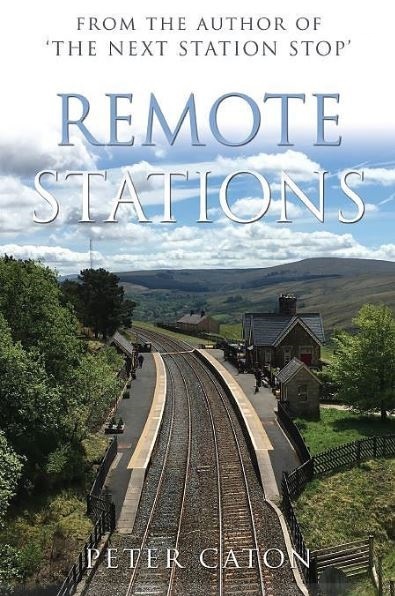 Hardback edition includes extra chapter and four appendices. 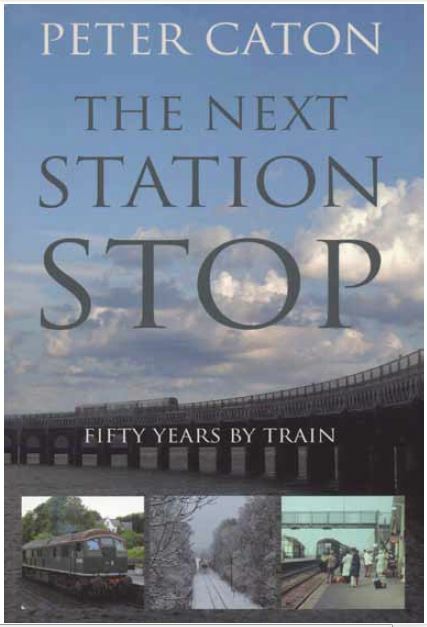 20-page colour photocopied A5 booklet with many photos. 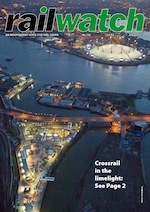 Report of presentations from all speakers including Ian Yeowart of Grand Central. 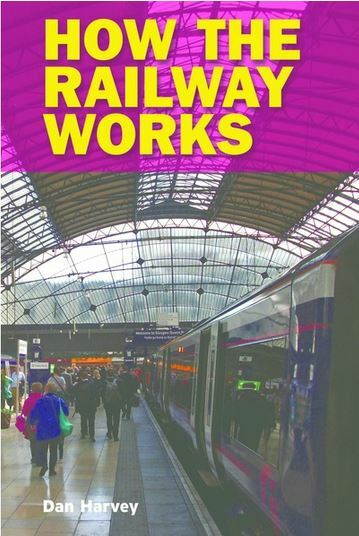 20-page colour photocopied A5 booklet with photos and diagrams. 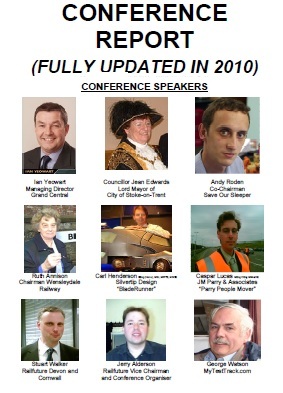 Report of presentations from all ten speakers including Chris Green and Lord Berkeley. 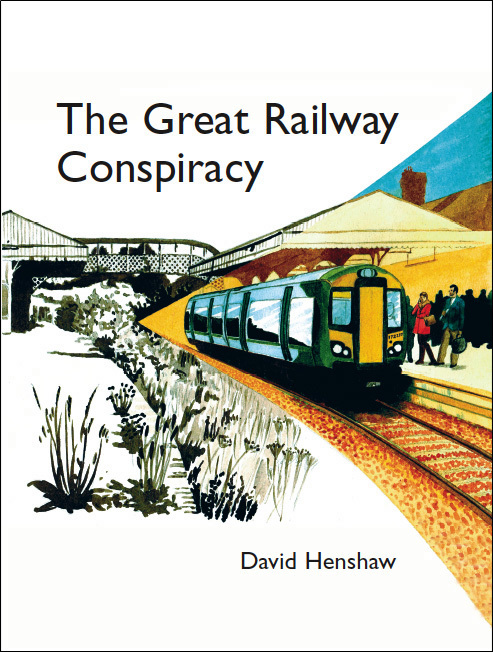 16-page colour photocopied A5 booklet with photos and diagrams. 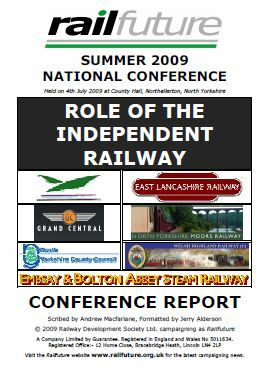 Report of presentations from all seven speakers including Tom Clift of Grand Central. 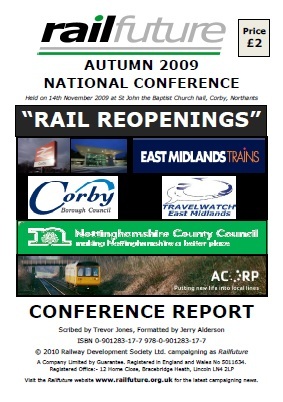 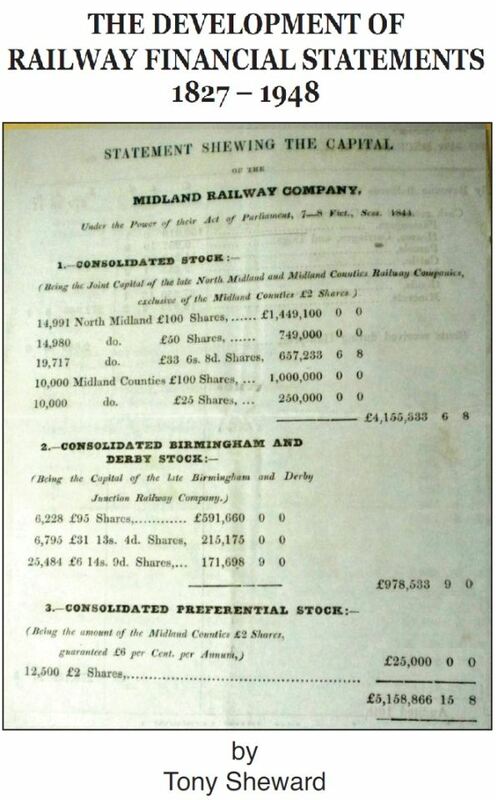 Report of presentations from all six speakers including Tim Shoveller of East Midlands Trains. 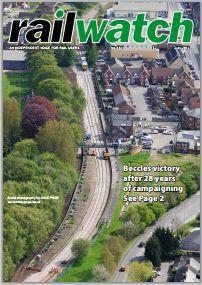 By Railfuture East Anglia Branch. 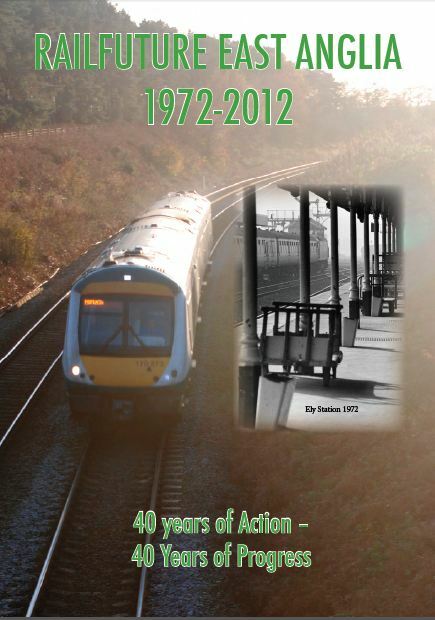 4-page colour glossy leaflet for Railfuture East Anglia 40th Anniversary. 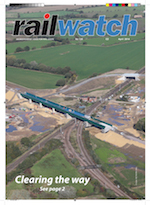 Some of the successful rail campaigns and priorities for the next decade. 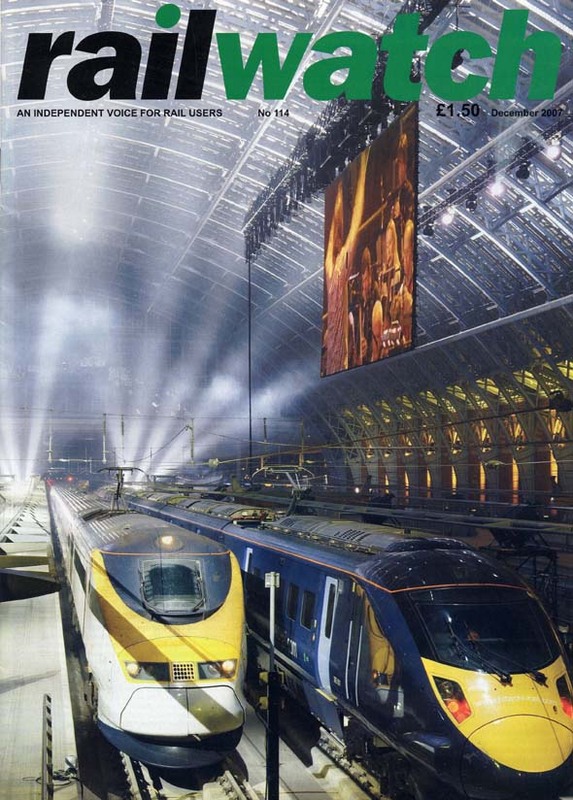 24-page colour glossy brochure commissioned from JRC by Railfuture. 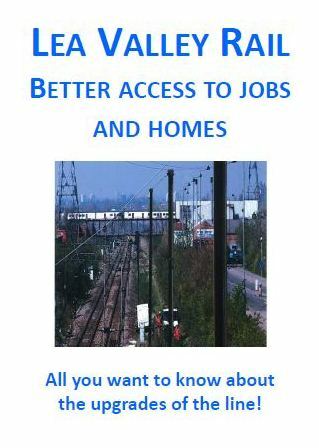 Detailed study of benefits by upgrading the Lea Valley railway. 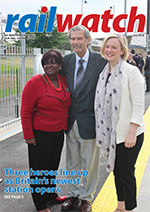 Essential campaign literature. 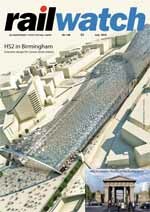 20-page all-colour glossy magazine (plus 4-page pull-out). 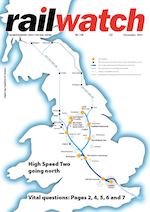 HS2 goes north - but it must be right for UK and the regions. 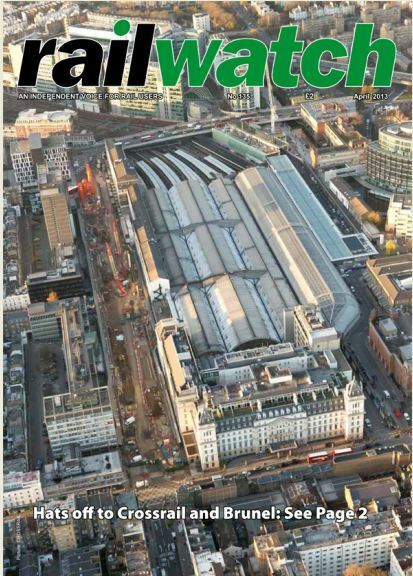 Changing fates of London and its railway stations. 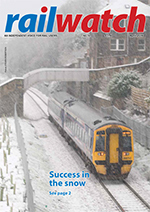 Climate change: what railways have to offer; £250m added value of heritage railways; Borders railway rebuild. 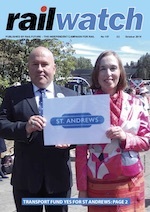 £250m savings could buy new trains; community rail lines need new trains now; high-speed rail for Scotland? 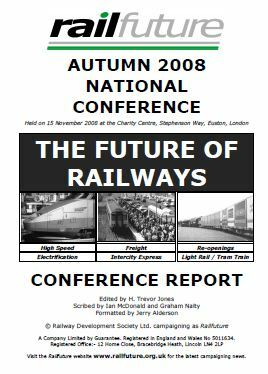 Articles from Railfuture Vice-Presidents: Barry Doe (fares), Ian Brown (franchising), George Boyle (freight), Mike Crowhurst (BR PLC?). 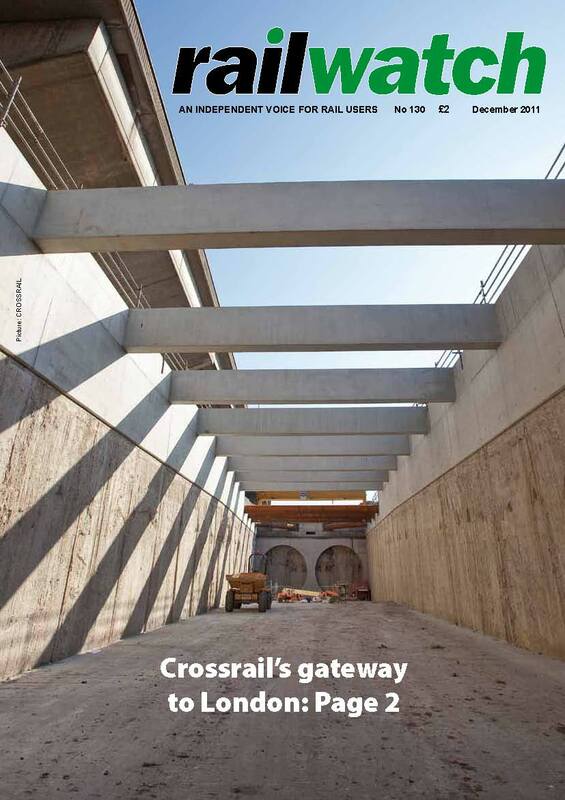 Crossrail progress; inaugural RUG awards; real rail economics by Railfuture and Christian Wolmar; electrification strategy. 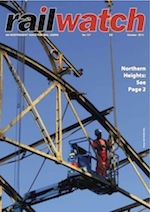 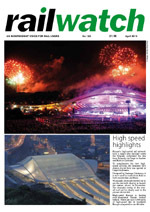 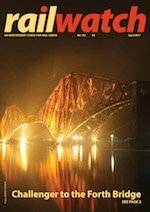 Electrification boost; Olympic triumph shows what rail can do; Scotland wavers on its brave rail plans. 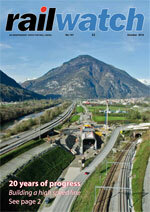 Beccles loop is built; Journey comparison by rail, road and aeroplane to Salzburg; Big hitters join Railfuture. 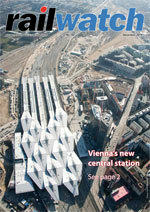 Spain's new high-speed line station; East West Rail looks likely; Action on metal theft. 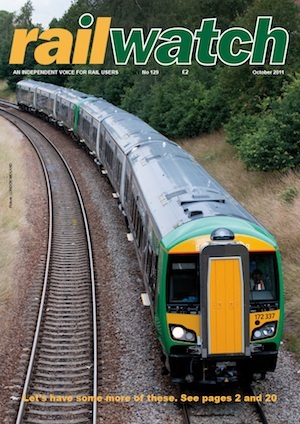 McNulty report; weighing-up arguments for high-speed Britain; train operators fail Eurostar booking test. 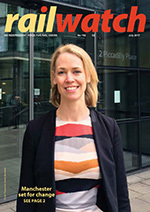 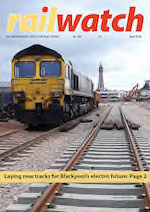 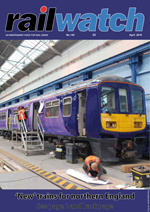 How rail gives good value for money; 60 years of heritage railways; how railways serve high-tech Britain. 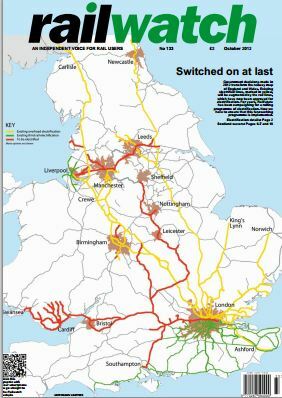 'Blockbuster' rail reopenings (by Ian Brown); colour-coded fares; 30 years of TGV travel. 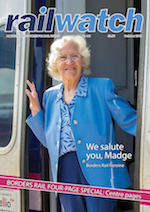 Beligan high-speed line opens; season ticket 'lottery'; guided busway is a 'transport disaster'. 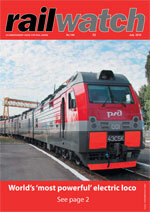 High-speed rail in Russia and Japan; Stations being to go green; Hamburg rail network. 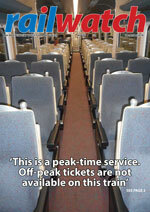 Californian and Russian high-speed rail, Exeter Metro, Britain's rail network at capacity. 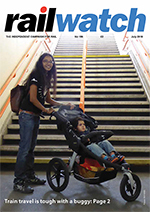 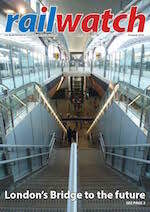 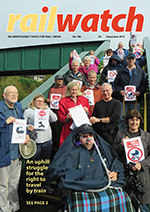 HS1 opens; Scottish rail expansion; Ely Rail User's Conference report; hybrid passenger trains.